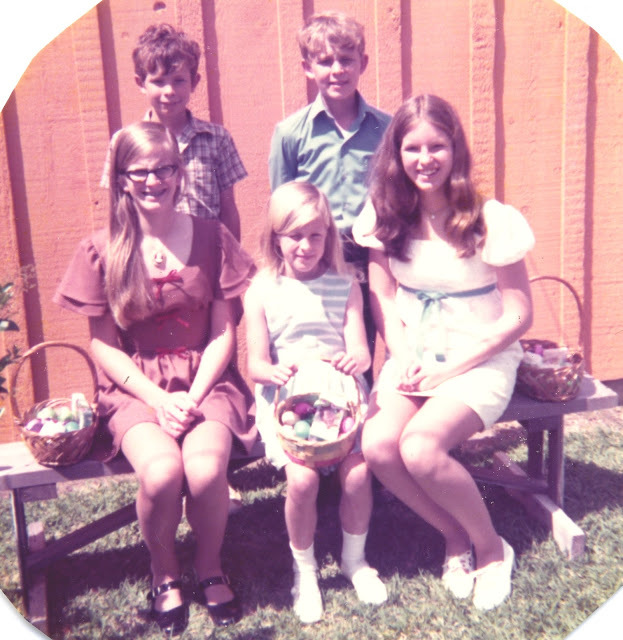 Easter 1972 (which was April 2), taken in the backyard (outside the detached garage) of our family's home at 8015 Sharpview in Houston, Texas. In the back are my brothers Brian (almost 10) and Mark (almost 12); seated are my sisters Karen (age 14) and Mary (age 8), and me, age 15. Motivation Monday: Happy National Siblings Day!